So you finally decide to put your busy life on hold for a few weeks to go peak climbing in Nepal and the majestic Himalayas. However, with the myriad of peaks out there, you’re at a loss as to which peak would be suitable for you during the Nepal adventures. Then, you search goggle for “climbing peaks in Nepal”, which eventually leads you here. Fear not, dear reader, for here at nepalguideinfo, we have the inside scoop on all major peaks in Nepal and love sharing our knowledge. It is a peak under 7,000 meters that is considered easily climb-able by anyone who is physically fit, without specialized equipment or training. So, a climbing peak combines the joy of proper mountaineering with ‘relative’ ease of ascent, which is why they’re very popular among trekkers in the Himalayas (ice axes etc are still required for many of them!). How much does climbing cost in Nepal? Since all climbing peaks fall under the same group, group B, climbing any of them costs the same in terms of NMA fees. Basically, for up to 4 climbers, the price is $350 and $40 extra for each additional climber up to 8 climbers. For a team of 9 climbers, you need to pay $535, with $25 extra for each additional climber up to 12 climbers. The mystic Himalayas of Nepal feature a wide range of climbing peaks of varying remoteness and difficulty. There is no such thing as a one-size-fits-all climbing peak that’s suitable for everyone. Different people have different sets of skills, time and preference, which means that some research, is required before choosing a peak. We have a and cheapest list out the top 10 best climbing peaks in Nepal with some very essential details for each peak. These details will, hopefully, enable you to identify a climbing peak, matching exactly your preferences. 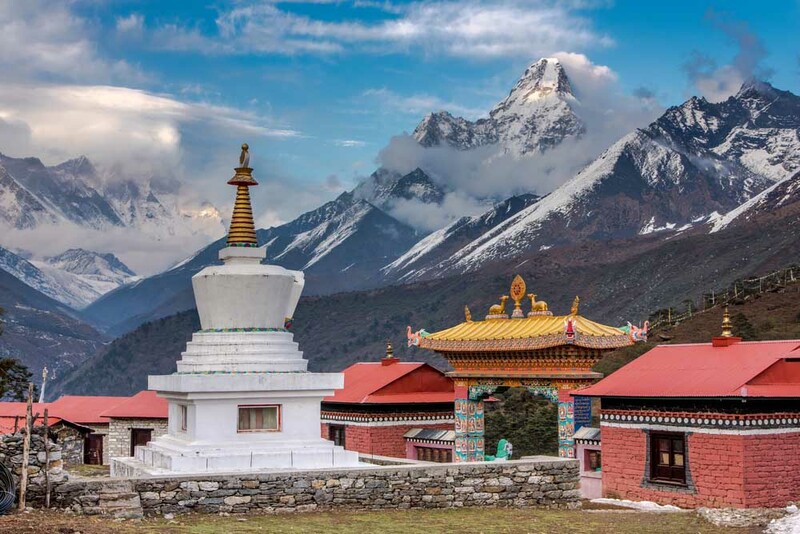 We really hope the above top 10 best chepest climbing peaks in Nepal gave a handy overview of excellent climbing peaks in Nepal, and, that it enabled you to make your final choice if finding the perfect climbing peak suiting, just you!